Here we will debunk several food, drink and lifestyle myths as they relate to overall health. Some information may shock you, but overall we hope that what you learn will inspire you to make changes in your everyday life and diet and better your health. This is probably the most widely believed health myth of all, and we encourage you to share what you are about to read with others. Studies have actually found a link between high dairy consumption and osteoporosis. Why? Because like all animal protein, milk acidifies the body’s pH which in turn triggers a biological correction. The calcium in the milk itself is rendered useless because it combines with phosphorus (also in milk) which blocks the absorption of calcium. Calcium from our bones is used to neutralize the acidifying effect of milk. Once calcium is pulled out of the bones it leaves the body via urine, so the surprising net result is an actual calcium deficit after drinking milk. For more information, please read our article: Forget Milk. Got Chanson Ionized Water? The truth is, the average American gets approximately 50% more protein than needed or recommended. 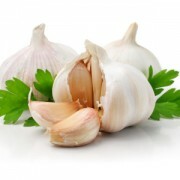 Unlike certain vitamins that our bodies can store and use at a later time, the body has no means of storing excess protein, and it ends up putting a strain on the liver and the kidneys. Next to water, protein is the main substance in plant and animal cells, with the exception of fat cells. Unlike animal protein, plants can manufacture all amino acids from nitrogen, carbon dioxide, and other chemicals through photosynthesis, while meat only contains some of them. Animal protein production requires more than eight times as much fossil-fuel energy than production of plant protein. The process known as reverse osmosis rids tap water of most nasty toxins, contaminants and bacteria, but it also strips it of valuable minerals, rendering it acidic which actually causes the body to rob itself of minerals to offset the unnatural imbalance. Most bottled waters are just tap water which have been run through a reverse osmosis system and have an acidic pH which means they can actually be dehydrating! Although bottled waters are the lesser evil when it comes to selecting a pre-packaged beverage as they do not contain sweeteners, preservatives and artificial ingredients which would make them even more acidic, the healthiest and most hydrating drink of all is alkaline ionized water. Soda is one of the most acidic things you can consume with an average pH of 2.5. The artificial sweeteners in diet soda have an even worse effect on the body than regular sugar. Aspartame (found in NutraSweet and Equal) is considered neurotoxic, allergenic, and carcicongenic according to Dr. Leigh Erin Connealy. Eliminating all sodas and artificial sweeteners from your household is one of the best things you can do for you and your family. We recommend an all-natural sweetener called Stevia as a healthy alternative. The truth is that 75% of Americans are dehydrated and most don’t even know it! Our thirst mechanism is extremely weak and does not kick in until the body is already dehydrated. Common signs of dehydration include headaches, dry skin, dark urine, dry mouth, fatigue and nausea. Also, when we feel hungry, sometimes we are actually thirsty instead of hungry but for whatever reason our bodies can’t tell the difference. Water plays many essential roles in the body, including digesting food, carrying waste products out of the body, providing a medium in which biochemical reactions such as metabolism occur, sending electrical messages between cells, regulating body temperature and lubricating joints so it’s important to get enough. Try upping your water intake to a minimum of half your weight in ounces (more if you are athletic or highly active), and try drinking a glass of water the next time you feel hungry to see if that takes the edge off. The truth is, the leading sports drink has a pH of only 2.95, making it MORE ACIDIC than Red Bull and Diet Coke! When you consume sports drinks, your body leeches alkaline minerals from the body to neutralize them; particularly calcium from bones and magnesium from muscles–two of the most easily and frequently injured areas of an athlete’s body. Thus, drinking sports drinks may actually weaken the body and make it more prone to injury! In addition, the leading sports drink has a positive Oxygen Reduction Potential (ORP) of 318, which means it contains free radicals which actually DESTROY cells! Even 100% fruit juice has a high, concentrated sugar content which slows fluid absorption, and the acids in the juice may cause stomach upset. Some falsely believe that sugar derived from fruits it is acceptable, however your body doesn’t know the difference and converts sugar into alcohol. Try diluting fruit juice with alkaline ionized water to reduce the sugar intake and offset the acidity and to wean children off of fruit juice. One Jamba Juice smoothie contains more sugar than the USDA recommends we consume in an entire day. A “Jamba Light” (their low-cal solution) is made with Splenda (sucralose). Self-reported adverse reactions to Splenda or sucralose collected by the Sucralose Toxicity Information Center include: skin rashes/flushing, panic-like agitation, dizziness and numbness, diarrhea, swelling, muscle aches, headaches, intestinal cramping, bladder issues, and stomach pain and is believed to be a possible migraine trigger. Try making your own fruit smoothies at home with low-sugar fruits and coconut or almond milk for an occasional treat. Unfiltered tap water is littered with contaminants, chemicals, toxins, bacteria and even pesticides and antibiotics. 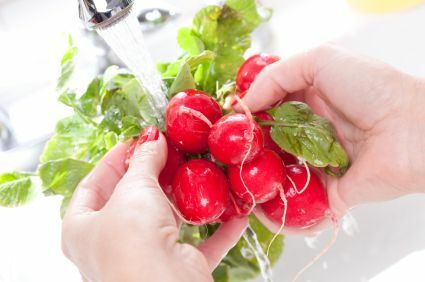 Rinsing your produce with unfiltered tap water is like bathing in a muddy puddle–while you may get some of bacteria off, you are more likely to actually pick up extra contaminants. A better solution is to buy organic and soak produce in 9.5 alkaline water for 10 minutes which will not only cleanse the food but enhance the flavor and temporarily give it a negative ORP, which creates antioxidants. The most pesticide-ridden produce that should always be bought organic include peaches, spinach, apples, celery, strawberries, imported nectarines, imported grapes, sweet bell peppers, potatoes, blueberries, lettuce and kale. Pain during and after exercise is usually a result of lactic acid production, which is toxic and acidifying to the body and thus counterproductive to health. Rather than pushing the body to exhaustion or inflicting pain on the muscles and joints, you should practice aerobic exercises like walking, jogging or rebounding (jumping on a mini trampoline) or static exercises like yoga, pilates, stretching and pain-free weight-training which are all alkaline-forming. The two most important things to remember are that you need to break a sweat without being so out-of-breath that you can’t carry on a conversation while exercising, and that if you start to feel pain ease up on whatever you are doing (for example, if you are jogging, resume walking until the pain subsides). Drinking Chanson alkaline ionized water during exercise is believed by many athletes to support a faster recovery time. According to Dr. J. Anthony Morris, the former Chief Vaccine Control Officer at the FDA, “There is no evidence that any influenza vaccine, thus far developed, is effective in preventing or mitigating any attack of influenza.” Flu shot ingredients include toxins such as ethylene glycol (a.k.a. antifreeze), formaldehyde, aluminum and thimerosol (a form of mercury). Thimerosol has been banned in all childhood vaccinations in the United States, yet it still remains in the influenza vaccine today. Boost your immune system with alkalizing foods and ionized alkaline water this flu season instead of injecting yourself and your loved ones with toxic chemicals. According Dr. Robert O. Young, author of The pH Miracle: “Allergies are 100% reversible with an alkaline diet and lifestyle.” Antihistamines are acid-forming and can cause dehydration, but allergies can be treated by increased water intake, because hydrating the body inhibits the excess production and release of histamine. Mucus traps allergens in, and alkaline ionized water (which is more hydrating than regular water and can penetrate cells deeper) helps flush out mucus. Dr. F. Batmanghelidj states, “This demonstration of water to histamine has been demonstrated in several animal experiments. It is now physiologically apparent that water by itself has very strong antihistaminic properties.” So instead of reaching for an acidifying antihistamine this allergy season, reach for a glass of alkaline ionized water instead. Studies have shown that chemotherapy, radiation and surgery are usually only effective with some of the more rare types of cancer, and that an alkaline diet of fruits and vegetables can have miraculous healing and preventative effects. For more information, we recommend the films “Healing Cancer from Inside Out” and “Cancer is Curable NOW“. Joe Cross went on 60 day juice fast while driving across America with a juicer in the back of his car and inspired many to try a juice fast in the documentary “Fat, Sick, and Nearly Dead.” Thousands of people have quit eating meat, dairy, animal products and/or the use of heat to prepare their food and never looked back, or sustained their diet for a period of their choosing. Presumably all achieved some variation of positive health results through these even temporary dietary changes. Here’s a secret–processed foods are designed to make you crave more of them, and when you eliminate them from your diet you will find that you no longer crave them the way you used to! In fact, you will start to crave healthy foods because your body will adapt. The beginning of a diet is always the hardest as your body is thrown into detox mode and has not learned to release those cravings and will initially be confused as to where all the things like sugar have gone and cry out for them. Therefore you should be prepared and motivated, or try to ease into it. 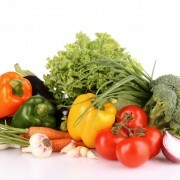 Even reducing the amount of animal products, processed foods, sugary drinks and cooked foods you consume has benefits. For example, you could start by replacing soda with alkaline ionized water, cow’s milk with almond milk, and adopting “Meatless Mondays.” You are ultimately in control of your health and if we can do it, so can you. For more on the benefits of alkaline ionized water, visit www.chansonwater.com.